MOGADISHU – One of my earliest childhood memories is of swimming in a small gully near my grandmother’s home in Yaaq Bari Wayne, a dusty collection of tin-roofed adobe buildings huddled together in the plains of southern Somalia’s Bay region. After the Gu rains, the gully became a deep triangular cleft cut into the ground, filled with muddy water. Children gathered like ants to spilled sugar, jumping off ledges and diving into its murky depths with screams and whoops of excitement. Many were children of nomadic herders, who moved south in May and June in search of better pastures. When they arrived, brown domes made of crisscrossed branches and layers of multicolored mats would appear like crowds of dappled beetles on the outskirts of town. For me, the nomad was a romantic figure, akin to the American cowboy of the Wild West. In the world’s harshest environment, they trekked hundreds of kilometers, surviving on camel milk and dried meat, with all of their possessions strapped to a camel’s back. But, in the last two decades, the story of the Somali nomad has become far less romantic – and far more complex. Nomads have been victims of famine, violent conflict, and circumstance, accounting for a significant share of the deaths – as many as one million – caused by 22 years of civil war, and of the 260,000 Somalis who died of starvation in 2010-2012. At the same time, nomads have been perpetrators of violence and terrorism. 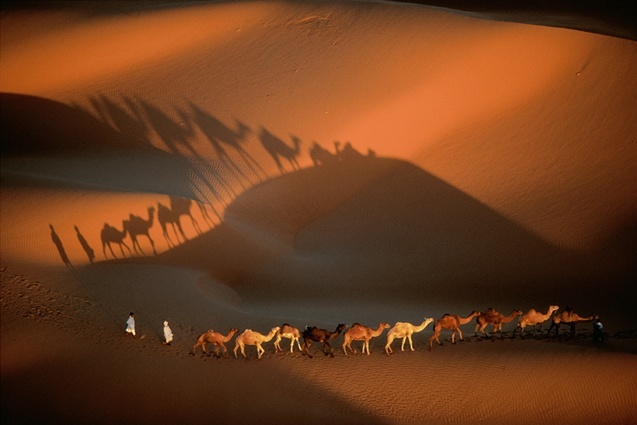 And yet there is another way to view nomads: as survivors, entrepreneurs, providers, and agents of transformation. With global problems like food insecurity and climate change threatening livelihoods around the world, nomadic and pastoral lifestyles have the potential to protect and sustain millions of people. In fact, it was cataclysmic climate change – which transformed a lush, green Sahara into a harsh desert – that triggered the emergence of such lifestyles in East Africa 5,000 years ago. Cattle herding allowed nomads to create livelihoods in an increasingly unpredictable and challenging environment, characterized by an arid climate and scarce resources. Today, there are some 50 million nomadic herders in Sub-Saharan Africa, and as many as 150 million agro-pastoralists, who combine traditional nomadic animal-rearing with some form of agriculture. Pastoralism is thus an essential livelihood system, with the potential to help overcome food insecurity – particularly in Somalia, where more than 50% of the population are nomadic herders. In order to unleash this potential, a strong support system that improves pastoralists’ access to capital and markets, while bolstering human-resource development and capacity-building, is needed. Following the example of Mongolia, where pastoralists can purchase private insurance to protect against the loss of herds from drought, microcredit programs could be established to insure pastoralists against similar risks and thus provide funds for restocking after a disaster. In order to enhance their livelihoods’ stability and profitability further, pastoralists need to be integrated into the formal economy. Effective trade networks and access to livestock markets would enable them to increase sales substantially. Increased access to technology is also crucial to improving nomads’ economic prospects. In Niger, pastoralists use mobile phones to keep abreast of commodity prices in regional markets, which enables them to sell their camels where prices are highest and purchase grains where prices are lowest. In Kenya, veterinarians send text-message alerts to warn pastoralists of disease outbreaks and provide vaccination information. Providing such support systems for pastoralists could prove to be an effective strategy for advancing economic development, enhancing food security, and reducing dependence on food aid in Somalia and elsewhere. Indeed, for many countries, nomads – recast as intrepid entrepreneurs – could be the key to securing a prosperous future.